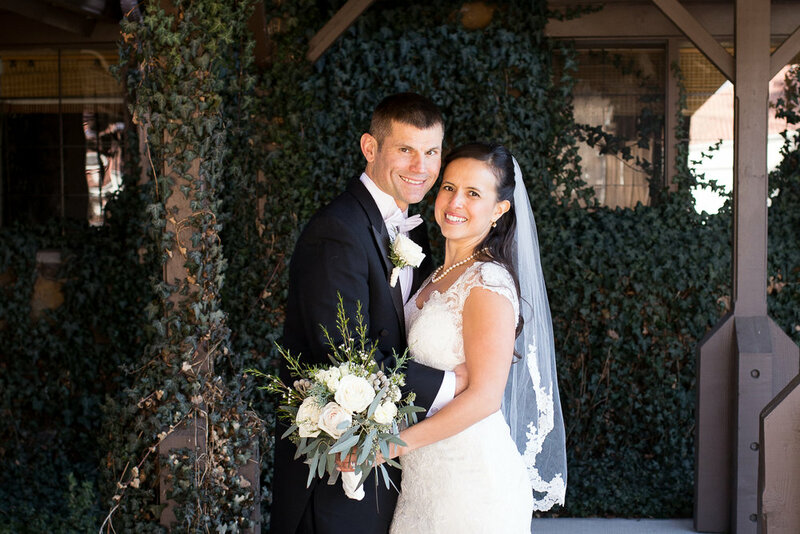 It was a pleasure to work with Jacque and Will at their beautiful December wedding in Colorado Springs. For having a wedding in the winter, we sure lucked out with some of the most beautiful weather and gathering of company for this event. It was a time gathered together for love and the joining of family. 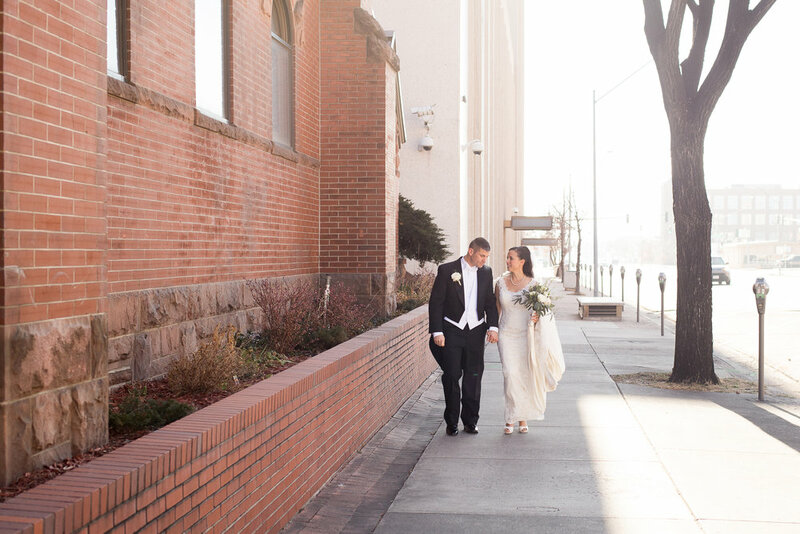 The reception, which consisted of their children as the bridal party, was set in the stunning First Baptist Church in downtown Colorado Springs. I loved the stained glass windows and the red, rich bricks with the arc in the doorways. Above all of that, I enjoyed witnessing these two pray with each other take care of the kids together, and shower each other with affection throughout the day. 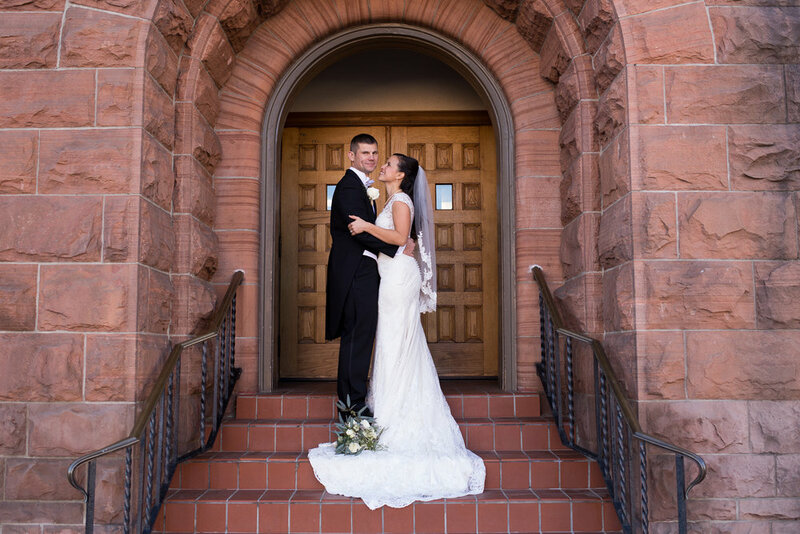 After the beautiful ceremony, we made our way to the Colorado Springs Country Club to celebrate their joined hearts with a family-friendly reception. I fell in love with the venue instantly, starting from the vine covered entrance-way to the elegant inside reception hall. 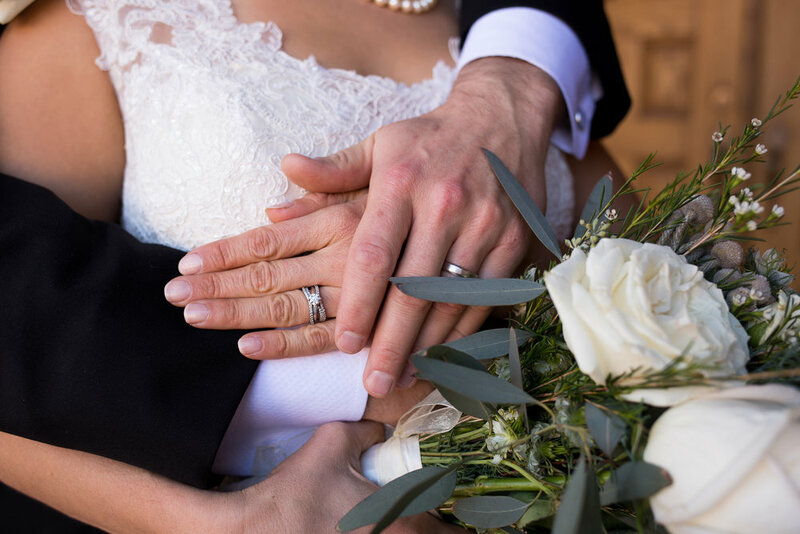 Sterling Rose Weddings and Events added all of the perfect touches, from managing the timeline to decorating the reception area with subtle and delicate pines that perfectly matched the winter wedding theme. It was a time for laughter, warm embraces, and celebrating being together as one big family. As all of the adults danced away the afternoon, the kids were not left out! During the dancing all of the kids were able to pick out a blow-up instrument. It was a delight to see all of the kids pretending to play, cashing each other with their blue guitars, and having a place at the wedding. It goes to show that Jacque and Will are all about family and bringing people together. As they embark on this new adventure together, I wish them many years of happy memories both together as a couple and joined with their children. Their wedding was truly a happy and blessed day for all! This is my absolute favorite photo of Jacque and Will on their wedding day!